Production takes place at factories in the Baltic States. The timber we use comes from local forests – we use mainly FSC certified timber. Most of our products are manufactured from spruce and pine. 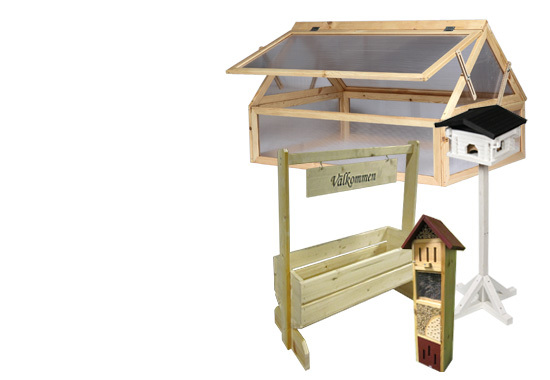 In addition to a wide range of bird tables and animal cages we also make a number of other products in wood, mainly for garden. Leading importers and wholesalers who handle sales and distribution to department stores, supermarkets and specialist shops.